Created an Alexa skill for Vigil (See Heirloom experience) that enabled our users to query Alexa to find out the status of their websites. I designed and implemented both the queries and the responses to make the interaction as life like as possible. Working on the core iOS app for Sam's Club. Helped to overhaul the integration of checkout and cart services to a new set of APIs as well as implementing a new UI design. Worked in the team that merged the existing Scan and Go app code base into the core iOS app. This required a merging of architectures and implementing a new navigation design as well as combining duplicated usage of location and other sensors on the device. This was a very challenging problem to solve as both code bases had very long histories over various coding patterns. 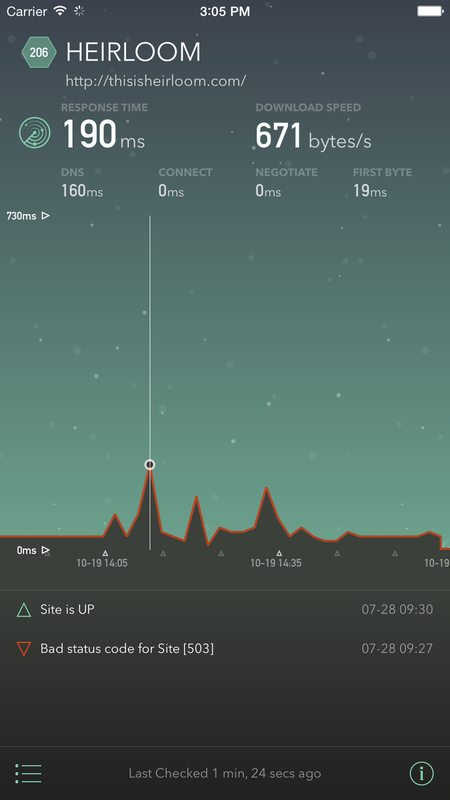 The team was able to deliver the merged app on a compressed timeline for holiday events with no change in our stellar crash percentages (99.97% crash free) and app store reviews (4.8 stars average). Responsible for architecting and implementing the Bluetooth portion of a solution for the RV industry. This project used a custom built CAN->BTLE bridge that enabled the application written in Cordova running on iOS or Android to connect and control the CAN bus enabled devices in an RV. I worked hand in hand with the firm responsible for the custom hardware to create a solution that supported multiple simultaneous phone connections. This position required understanding of the different workflows and quirks of the Bluetooth stack on various versions of iOS and Android. My research project used the HoloLens and augmented reality in a day to day healthcare setting for nursing. Created best in class applications for the heavy machinery industry and retail. I created everything from app architecture to design and implementation of the UI/UX. The product is an IoT offering that utilizes sensor arrays connected via Bluetooth and cellular to a backend infrastructure hosted on AWS. I was responsible for managing internal and external resources from cross-functional teams to deliver cutting edge solutions for our Fortune 50 customers on-time and under budget. Our process focused on voice of customer research to ensure the products we created solved the real world problems that our customers faced every day. This position required quick learning and application of complex technology to create a proof of concept prototypes that can be used to prove out the business case and be presented to stakeholders at Fortune 50 companies. These prototypes are iterated on and developed into a full product offering. While at Modustri I invented a patented technology for association of assets utilizing accelerometers. Link to the patent that contains my invention is here. Working on a client project for a major sports franchise. The app has a massive audience of millions. Written entirely in Swift. This position required interfacing with various development and design groups within the organization to ensure a congruent customer experience across platforms. As the first full-time software hire for Adonit I was responsible for the stylus SDK during the Evernote Script launch. This work included bluetooth hardening as well as palm rejection and offset correction. I architected Adonit's first iPad application called Forge. 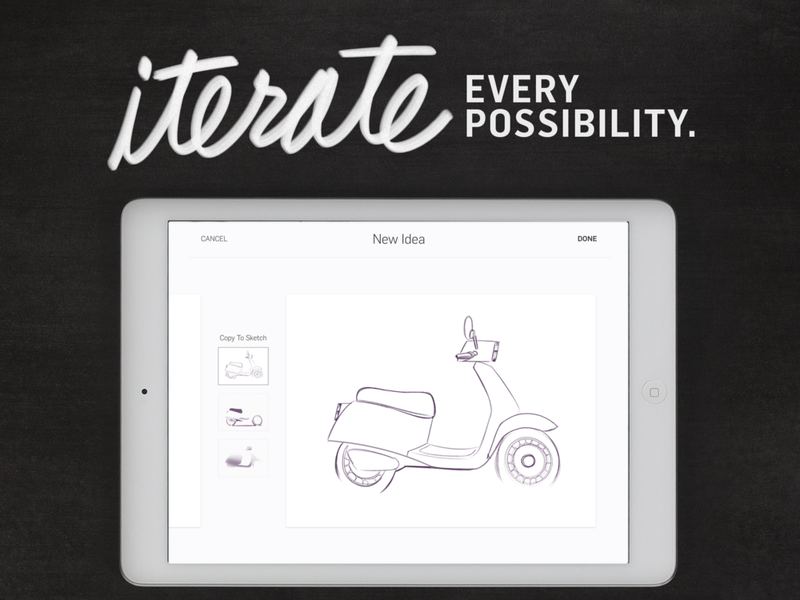 This app utilizes custom gestures as well as complex animations to create a seamless user experience that promotes creatives getting their ideas down quickly and iterating on those ideas. As the iOS architect on this project I am responsible for designing and helping to implement the foundation of this app as well as the direction of the architecture for further growth. Forge was named to the "Best of 2015" list by Apple as well as Editors choice at launch. Other responsibilities include mentoring junior members of the team, promoting code standards and methodologies, and implementing our continuous integration and deployment system. For the Script launch with Evernote, I worked very closely with the Penultimate team to ensure the Script launch was a great success. This work included re-working the palm-rejection algorithms, hardening the bluetooth code, offset correction, and general information re-architecture. 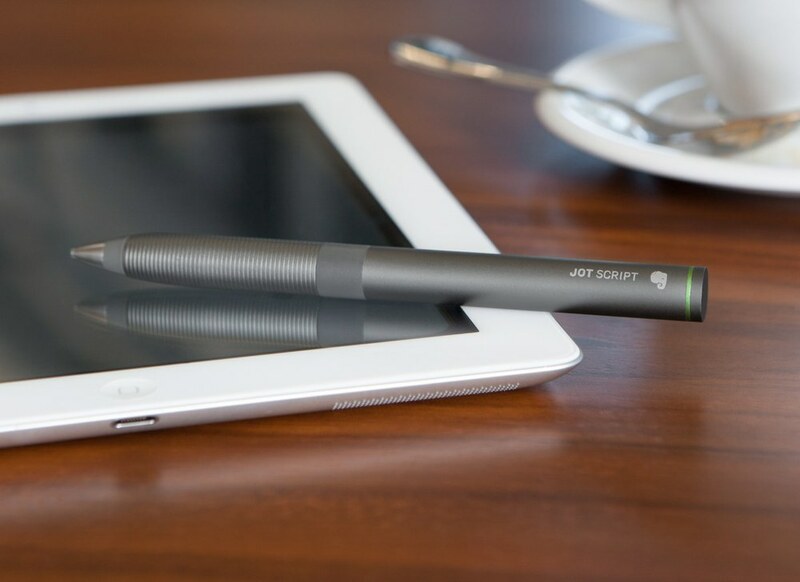 The Evernote script is the first product of its kind to use Adonit's pixel point technology that presented new technological hurdles such as offset correction. To see the design story on the Script, go to Behance. Forge is the digital workspace where visual thinking – typically spread across sketchbooks and studio walls – fits onto your screen. 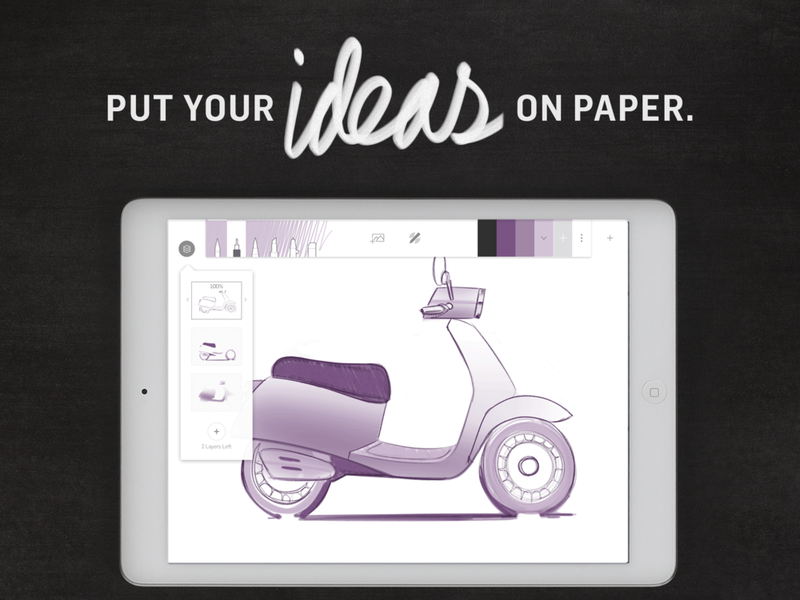 Build your ideas, fast and focused, with Forge. Check it out on the app store here. Named App Store Editors' Choice and February 2015 App of the Month. Named to the "Best of 2015" by Apple. Forge has been a wonderful challenge to architect and implement. From storage space conscious and performant file formats to very complex gesture interactions that work seamlessly for the end user, every aspect of this app has been painstakingly developed to be best in class. The development process included many prototypes to prove out concepts that then were implemented in the shipping code base. As the architect I was responsible for ensuring the beautiful and challenging design was brought to reality in an effective way. With Vigil you can setup monitoring right from your phone. Type in a URL, and we take care of the rest. You will receive a push notification any time there is a problem with your site. Vigil 1.0 Featured on Daring Fireball, The Loop, Beautiful Pixels, and featured banner app on the business and utility section of the Apple app store. BLDNMBR.com is a site that I created to make managing build numbers for software development easier. In iOS dev specifically there is a need to ensure your build numbers are unique and sequential. Many different app delivery systems require that the build numbers be maintained in this manner. BLDNMBR.com makes this much easier to manage via a simple http request. Check it out at BLDNMBR.com or checkout the open source repository on Github. Due to NDA I cannot discuss the project details worked on for this client. I was brought on as the sole iOS resource and was in charge of mentoring two Android developers in the ways of the fruit company. The project was to convert an Android app to iOS. This app utilized a web service backend written in .NET. Below is the list of skills utilized on these projects. Design project for a healthcare provider. Created assets to enhance current app design. Included research of current app to ensure design changes did not break the overall look of the app. 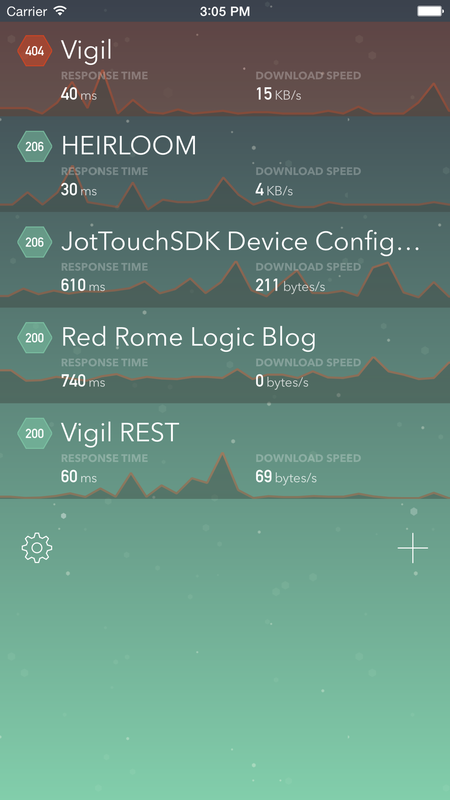 With Vigil you can setup monitoring right from your phone. Type in a URL, and we take care of the rest. You will receive a push notification any time there is a problem with your site. Featured on Daring Fireball, The Loop, Beautiful Pixels, and featured banner app on the buisness and utility sectiona of the Apple app store. Scale Computing develops converged virtualization and storage systems for small and medium-sized enterprises. These systems enable IT professionals to virtualize environments on a converged scale-out architecture that delivers shared storage benefits without a SAN and with performance that stays one step ahead of demands. Implemented the HTML5 user interface to a custom linux based cluster using apache thrift, websockets, node.js, and socket.io. Created a windows service to integrate windows servers into the custom build and testing infrastructure. This service allows for complete control of the windows server as well as perform Selenium testing on multiple browsers. Worked on many other projects and pieces of the Scale backend daemons and firmware that control the cluster and KVM instances. Created a multi-facted talent management and leadership development SAAS to hire and maintain high performing employees. Analyzed existing system and architecture to determine feasibility of system to maintain sales goals, keep costs in line, and continue development activities. Based on this analysis the original architecture was found to not meet minimum performance requirements. I created a new architecture and installed a development methodology working with a QA and database expert to enable very high speed development with minimal errors. The increased speed of the new site enabled a survey of 1500 raters to complete a 360 survey rating multiple participants. The new system also allowed for site customization and co-branding as well as report customization. The new architecture cut hosting costs in half and reduced feature roll out from 18 hours to 20 minutes. New system picked as a Human Resource Executive Conference top HR product 2009. Re-architected the site for a web startup company. I worked with the client, creating a strict set of goals and deliverables, utilizing mockups to ensure a mutual agreement of what the deliverables entailed. The resulting site met the client original goals, within their time frame and on budget. Created and implemented the transition plan to move a major ASP.NET 1.1 website to ASP.NET 2.0. The site allowed a major truck manufacturer’s dealer network to handle all aspects of their business online. Along with the transition to 2.0, AJAX functionality was added to increase the overall usability of the website. Architected and implemented a website in ASP.Net for real estate agents to order print materials for their marketing plans. The site utilizes XML schemas for templates and XSL/T transforms to create PDF print files. This new system reduced turnaround time on orders from 3-5 days with the current manual process to 24 hours. Administered all existing databases including maintenance plans, disaster recovery planning, and data replication. Databases maintained include a system to track title plant images that contained over 3 terabytes of information and millions of rows. Also created solutions to increase performance of third party databases. Architected and implemented application to run on the new Microsoft Smartphone operating system. This application allows users to enter structured data via voice input. Played a key role in designing and developing the XML Web Service based architecture for this multi-tier structured voice capture/transcription system. Worked to implement a scalable architecture that met the performance and security requirements including HIPAA compliance. Designed and developed the Pocket PC application which gives doctors the ability to dictate patient notes and assists them in compliance with coding regulations. Have gained valuable healthcare industry experience and HIPAA expertise. Guided clients through all aspects of the software cycle; including gathering requirements, creating estimates, creating detailed requirements, system design, managing and participating in implementation, testing and quality assurance, delivery, and customer satisfaction. Managed a development team of 6 through the development cycle. Management included task assignment and tracking to ensure that development deadlines were met. Served as a lead programmer for the design and deployment of a highly complex, multi-featured e-commerce Internet site. Architected and implemented additional functionality to enable many different look and feel sites to run off of one central engine. Reduced the creation of these sites from weeks to day. Saw first hand from the inside the first .com boom and bust. This experience has proved invaluable in my later work and gives me a perspective that not many have.